While rummaging through kitchen cabinets, I recently found a bag of unopened coffee grounds from a popular coffee shop. Unfortunately though, the bag was marked with a “best before” seal that indicates three years ago. Too bad, I would have wanted to try it but I was too afraid that I might get ill or something. It does not smell funny but still, I’d rather not take my chances. I immediately thought of ways to put it into good use. At least, it would not be gone to waste. I am pretty much contented with how I look except that my eye bags are making me look older. I look so haggard all the time because of them. I found that coffee is a good vasoconstrictor and has anti-inflammatory properties, which make it a good remedy for eye bags and puffiness. To do this, simply add a little water to coffee grounds just enough to form into a paste. Apply sufficient amounts under eyes. Let it stay for around five minutes before rinsing or wiping off. Coffee has skin firming properties. This is probably the reason why many women like to apply coffee scrub all over their body. Even spas offer coffee scrub treatment to their customers. However, you can also make your own at home. Just mix a cup of coffee grounds, half a cup of sugar (or sea salt) and a cup of coconut (or olive) oil. Make sure to use very fine coffee grounds to avoid abrading the skin. Used coffee grounds can be used as organic fertilizers for your garden. Spent coffee grounds can be spread easily on the topsoil. Coffee grounds are better than chemical fertilizers because it is environment friendly. It does not release greenhouse gases which are harmful to Mother Nature. Coffee is also known for its deodorizing effects. It can be added to soap for better deodorizing effect. It can also be used as a fridge deodorizer to absorb the smell of food. It also works as a foot and shoe deodorizer. Just wet your feet and rub some coffee grounds. Sprinkle some inside your shoes, let it stay and shake it out. It can also be used as trash / garbage can deodorizer. Put it inside an old pantyhose and let it hang inside the lid. For some reason, ants do not like the smell of coffee. To repel them, sprinkle coffee grounds in corners where they normally pass by. Some swear that other bugs do not also like the smell of coffee. 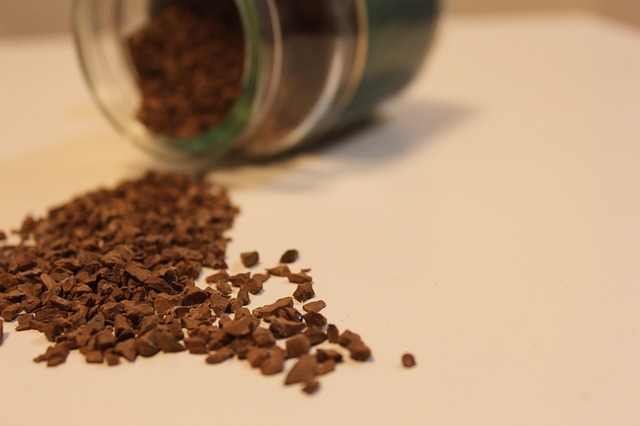 You can sprinkle some coffee grounds around your house’s perimeter or put it inside a bowl and leave it in the patio to repel bugs. There are many ways to use coffee grounds. It is indeed one of the most useful things one can find in his kitchen. Coffee grounds remain useful despite being spent after brewing. You just have to find ways to put it into good use.